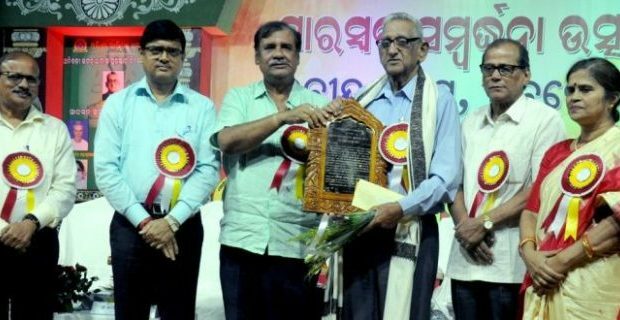 He received the award from Culture and Tourism Minister Ashok Chandra Panda at a function organised by Odisha Sahitya Akademi at Rabindra Mandap in the city. He was given Rs 1 lakh as prize money. he literary body also felicitated 15 other litterateurs of the State this evening. Rath is famous for his poetry book ‘Sriradha’. It’s acknowledged as a modern classic. Some of the poems including ‘Kete Dinara’, ‘Aneka Kothari’, ‘Sandigdha Mrigaya’, ‘Saptama Ritu’ and ‘Sachitra Andhara’ are considered as his best works in the Odia poetry. A number of his poems have also been translated into English and different other Indian regional languages. Earlier, he was conferred the Sahitya Akademi Award in 1977, Saraswathi Samman in 1992, Bishuva Samman in 1990. He has also received country’s third highest civilian honour, the Padma Bhushan in 2006. He was the vice president of the Sahitya Academy from 1993 to 1998 and the president of the Sahitya Akademi from 1998 to 2003 in New Delhi. Rath, born on December 13, 1934, in Cuttack, has completed his master degree in English from Ravenshaw College (now it is an university) and joined in Indian Administrative Service in 1957. He was the former Chief Secretary of the State.